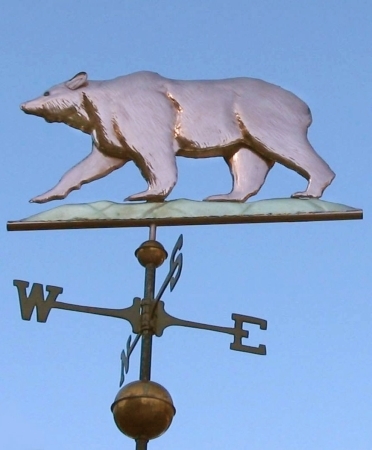 Our California Golden Grizzly Bear Weathervane, Ursus Californicas, was originally commissioned by a wonderful mosaic artist who lives in the Santa Barbara area. 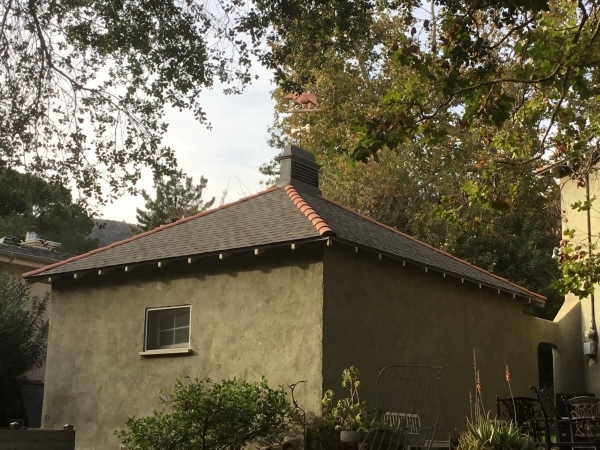 She was building a beautiful new studio/retreat space in a lovely garden setting and wanted the weather vane topping the building to be distinctly representative of California. 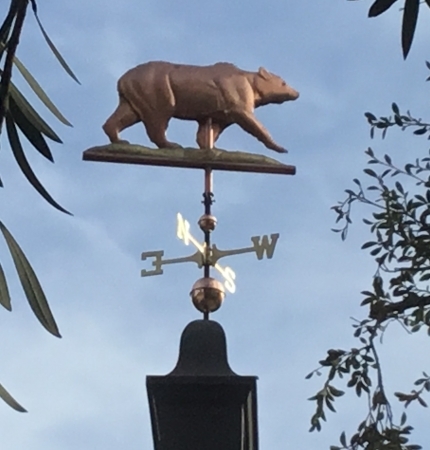 While this California Golden Grizzly Bear Weathervane is similar to our more traditional Grizzly Bear Weathervane, this design is modeled after the California state flag and is a bit more massive and powerful looking. 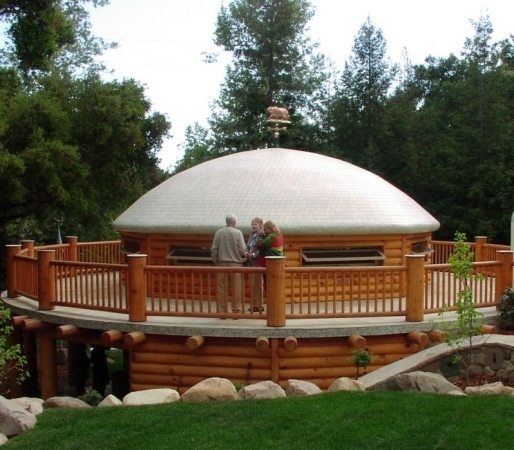 In this way we emphasize its stature as the largest of the North American bears. 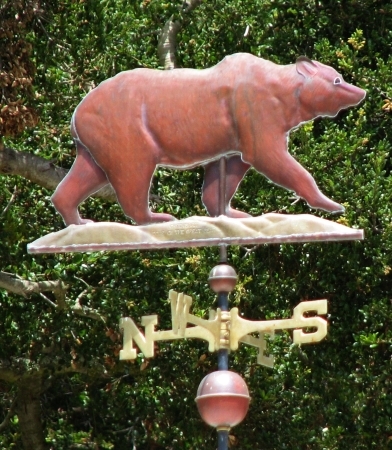 As shown here, the Grizzly was fabricated of copper and the hillside of brass. 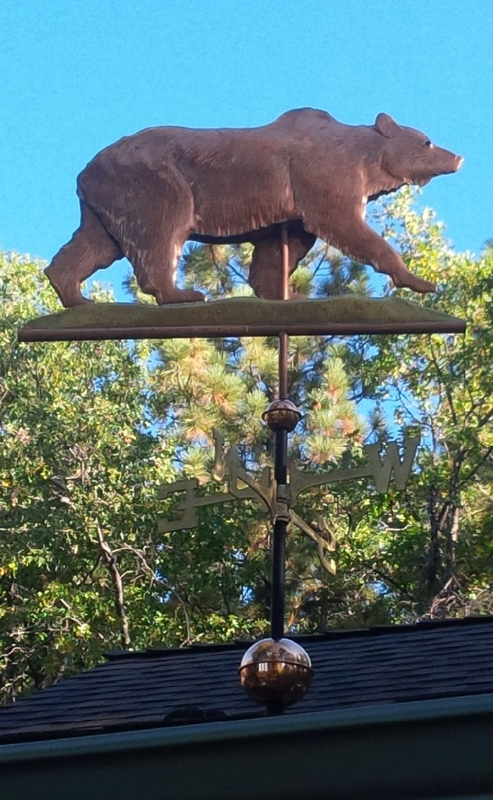 If you look closely, you can see the personalized inscription our customer wanted stamped into her weathervane. 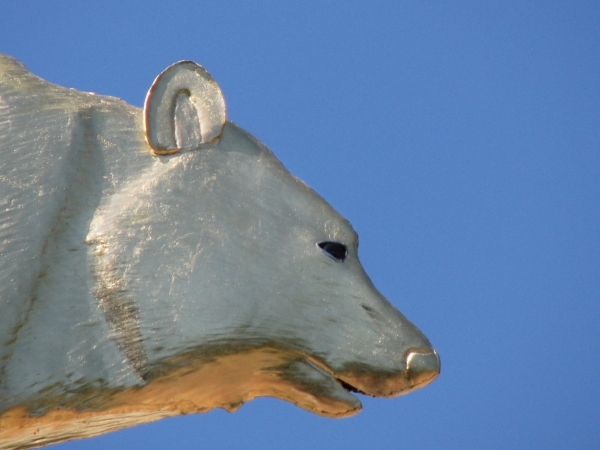 As with most of our animals, we used glass eyes to give the bear a more lifelike appearance. In one of the later customer photos, you can see the beautiful patina that has started to develop after being outside for several years. 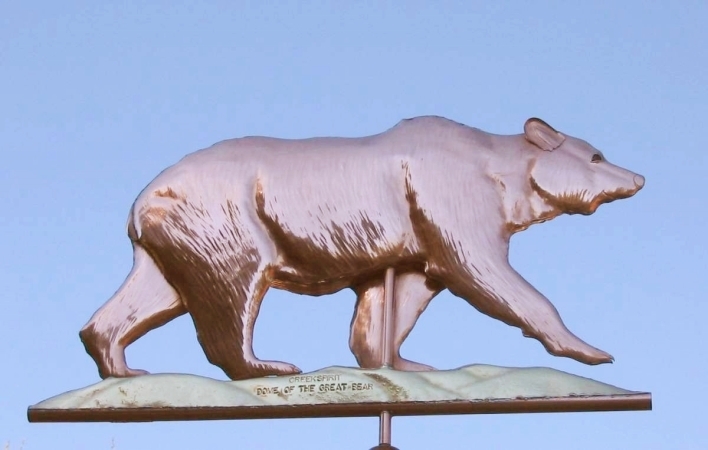 The California Golden Grizzly Bear was adopted as our state animal in 1953. Unfortunately, the last of its kind was shot and killed in Tulare County in 1922. It’s rapid decline coincides with the arrival of the 49ers in search of gold. Less than 75 years later they were entirely eradicated in the state. 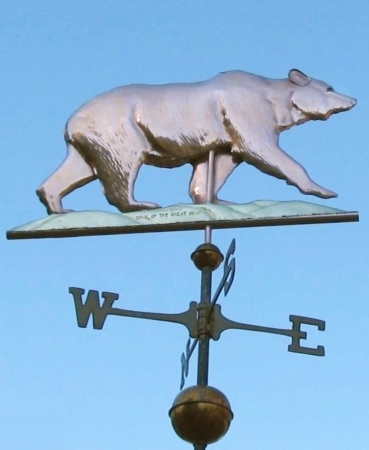 This Weathervane was created as a tribute to and remembrance of this magnificent creature.